M45 is easily visible to the unaided eye. 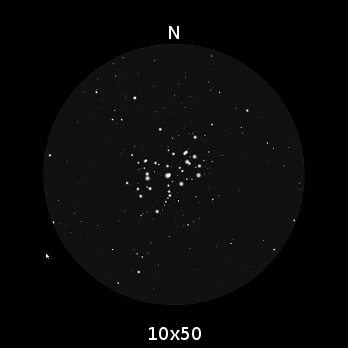 M45 is possibly the most stunning binocular object, one which I never fail to return to each Autumn. Putting binoculars onto it is akin to opening a box of diamonds as more of its blue-white members are revealed. 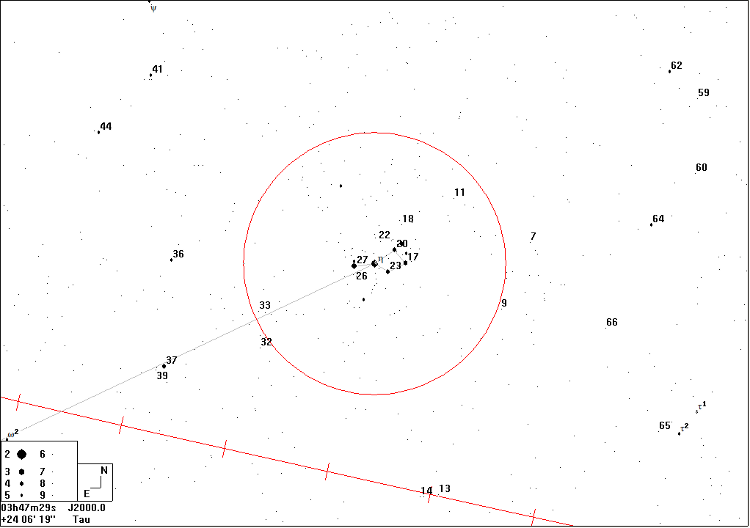 Even in 10×50 binoculars it is easy to lose count of them, with several tens of stars being easily visible. In a very dark sky, good quality binoculars will give hints of the nebulosity surrounding Merope if you use averted vision. 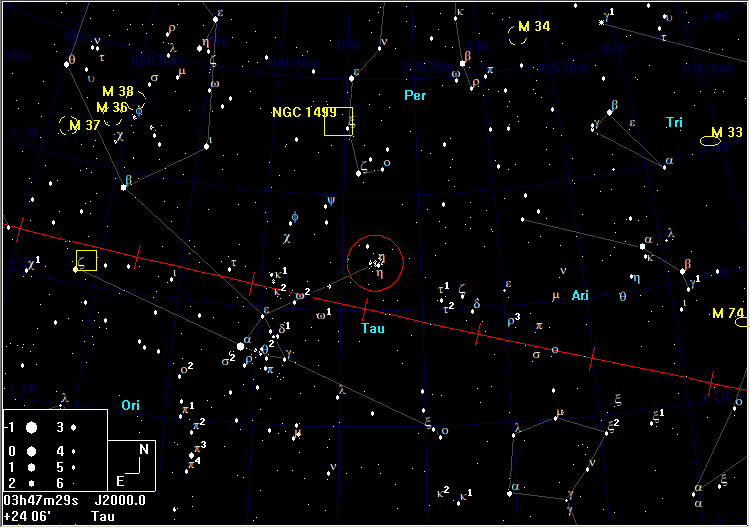 Larger binoculars will show more of the 300 or so stars that comprise it.